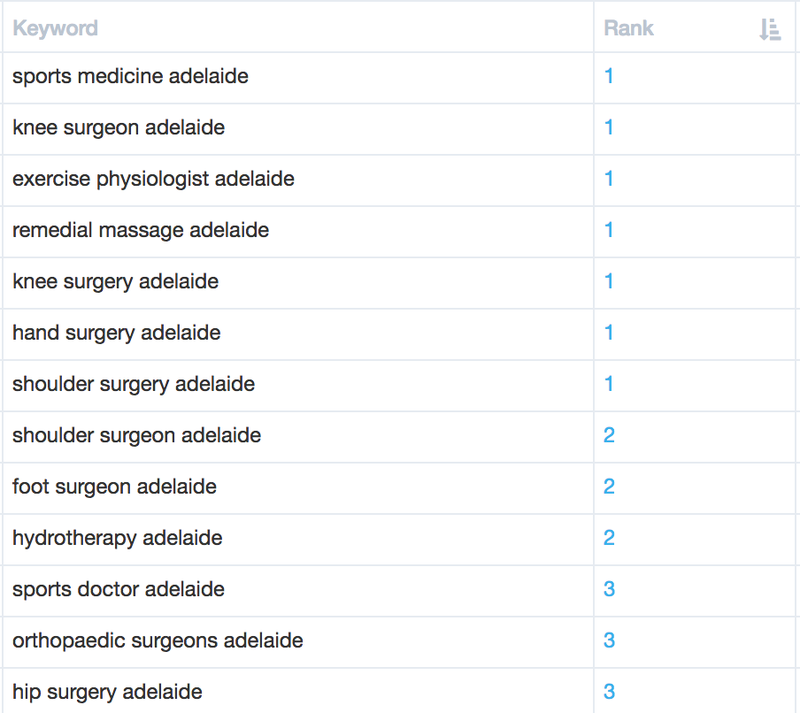 SPORTSMED·SA is a Adelaide’s premier private orthopaedic hospital and healthcare provider that offers patients access to world-leading and modern healthcare in state-of-the art facilities. They needed a new website and SEO strategy that reflected their status as a world-leader. 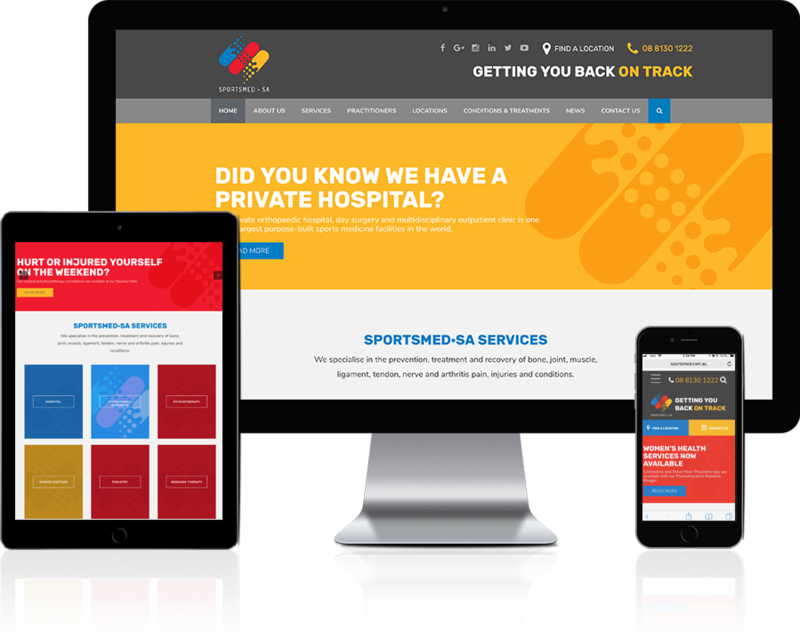 We worked with the Sportsmed SA to transition their existing website over to a state-of-the art WordPress website. 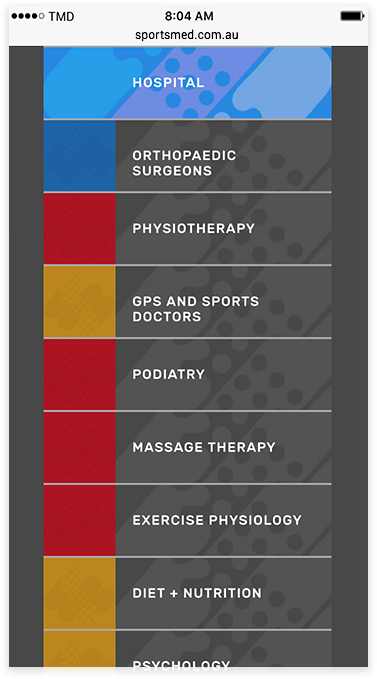 The goal of the project was to ensure that Sportsmed patients could easily find the services and locations they were looking for on a website that was easy to keep up to date. 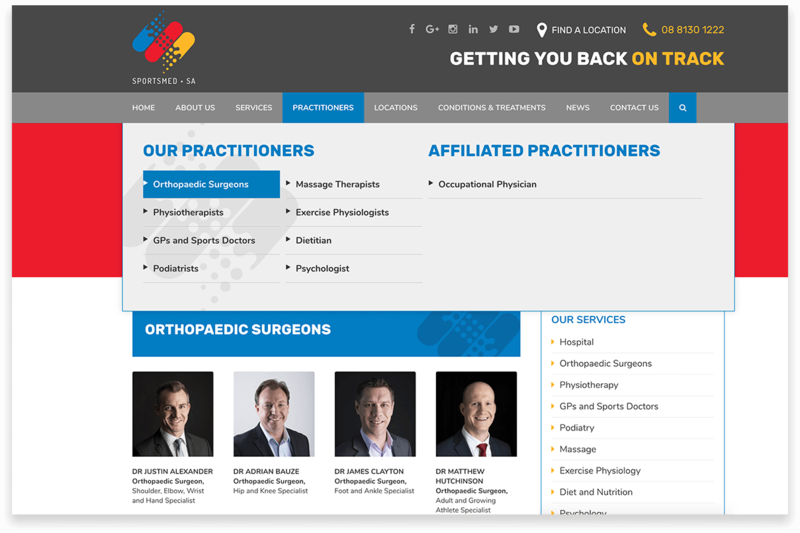 As a part of our service, we optimised the website for a huge range of orthopaedic and Allied Health related keywords, which has allowed Sportsmed to significantly improve its traffic and number of new patients through the website. 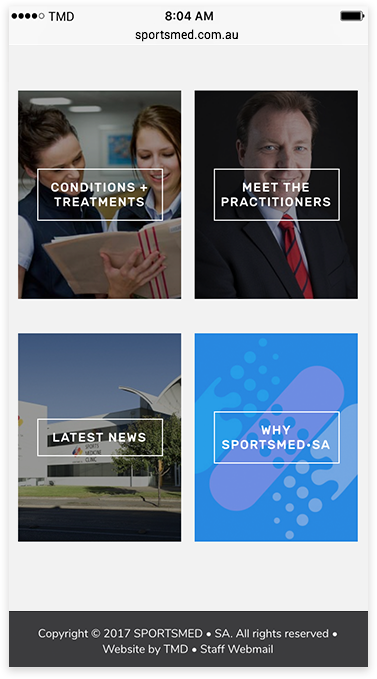 Having a tailored mobile experience was extremely important for Sportsmed SA. We trimmed down the main homepage to only show the key features and services that potential and existing patients needed access to. This lead to a significantly improved user experience, more bookings and less confusion for new and existing customers. 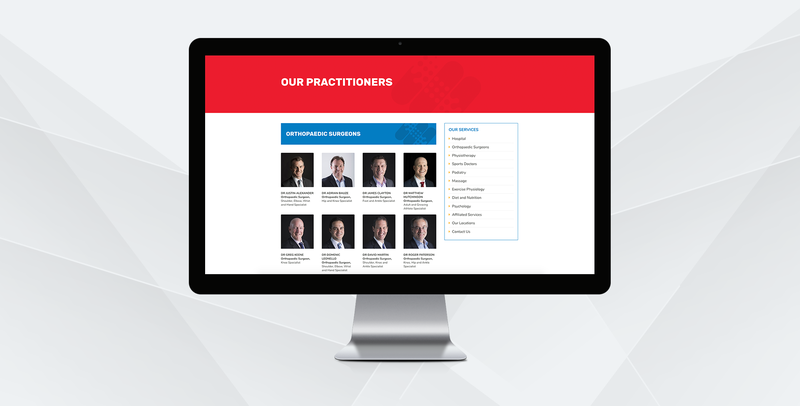 As a huge number of Sportsmed patients request appointments and navigate through the website on their mobile devices, we used strong visual navigation elements to allow patients to find what they were looking for within 1-2 taps. 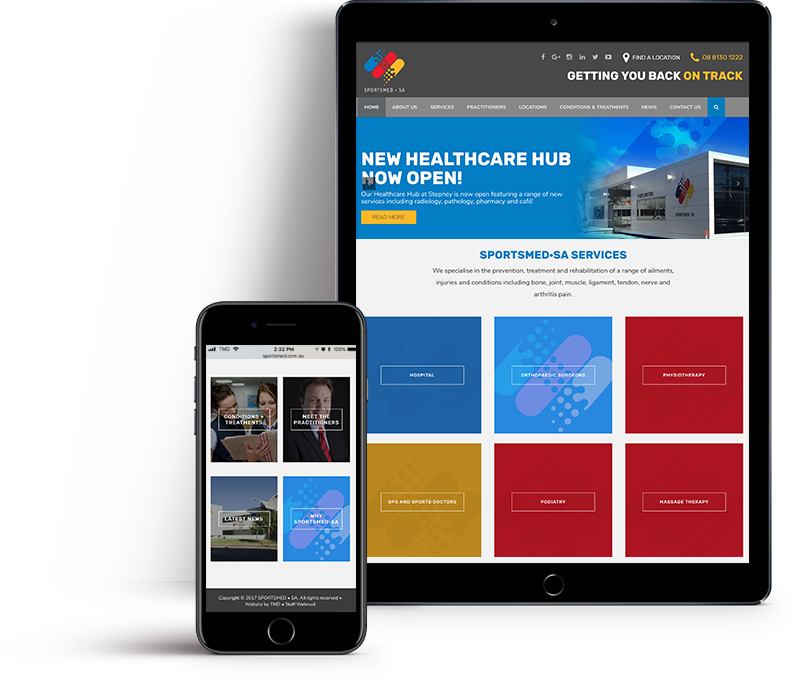 Our website design and development team has been building websites that rank well in search engines, and generate tonnes of traffic from Google for nearly a decade. If you’d like to get the same results as Sportsmed, then give me a call!